The Verona 5000 carport is a multi-use structure designed to meet your needs for outdoor protection for your car, recreational vehicles or seating area.On Sale Until April 30thOnly While Supplies Last! FREE Fast Shipping! 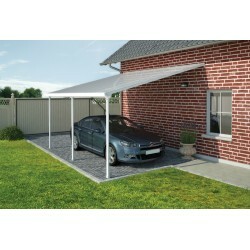 Protect your belongings while complementing your home with the modern design of the Palram Feria Carport.On Sale Until April 30thOnly While Supplies Last! FREE Fast Shipping! The Arizona Carport will provide your family protection from the elements for years to come with its durable materials that are rust and maintenance free. FREE Fast Shipping! 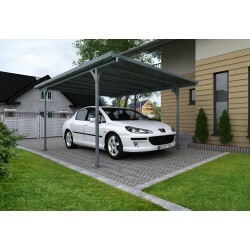 Protect your belongings while complementing your home with the modern design of the Palram Feria Carport. FREE Fast Shipping! High quality and elegant are few of the many ways to describe the Arch-Style Arizona Wave Double Carport of Palram. The unique styling of the Arizona Wave Arch creates an extra-large and multi-functional outdoor structure providing protection for your cars, RV, or boat, and can easily be transformed into an entertaining space. FREE Fast Shipping! Aesthetic and heavy duty multi-purpose are just few of the many ways to describe the Arizona Wave Double Carport Wing-Style of Palram. The Arizona is a high performance carport and outdoor structure; its two-post form facilitates easy access as well as allows you to use it as an outdoor cover.FREE Fast Shipping! 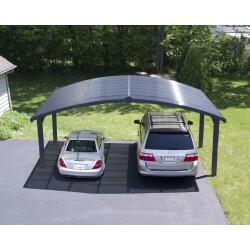 Choosing a carport has never been this easy! 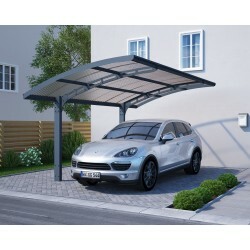 The Arch-Style Arizona Breeze Double Carport of palram is is a uniquely designed, high performance and robust carport and outdoor structure. It was crafted to meet your needs for outdoor protectionFREE Fast Shipping! 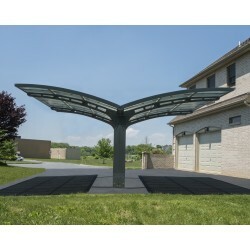 Few of the many ways to describe the Arizona Breeze Double Carport Wing-Style of Palram is it is as sturdy and reliable as it is classy and stylish. 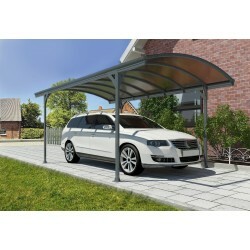 It is uniquely designed, high performance and robust carport and outdoor structure. It was crafted to meet your needs for outdoor protectionFREE Fast Shipping!